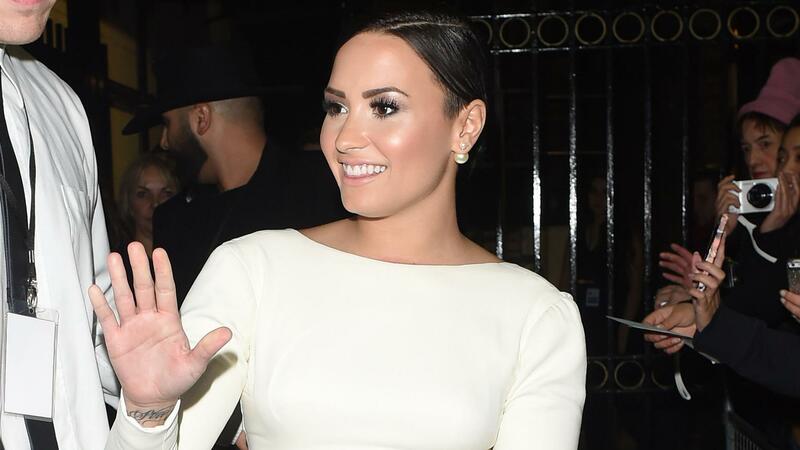 Demi Lovato wants the world to know that eating disorders are no joke — and that applies to you, too, Meghan Trainor. The “All About That Bass” singer has been making headlines for her chart-topping and super-catchy tune. Many people believe the song sends out a very positive message about body image. However, while Trainor is happy with her size and was trying to reiterate that during an interview with Entertainment Tonight, her comments were actually offensive. Lovato’s recent tweets, in which she seems to take aim at Trainor’s insensitive comments, remind the world that it’s not fun to joke about a serious disease. Having an eating disorder doesn't show "strength." Strength is when are able to overcome your demons after being sick and tired for so long. Starving is not a "diet" and throwing up isn't something that only extremely thin men or women do. Eating disorders do not discriminate..
Lovato ended her series of tweets by reminding fans that she was raising awareness, not hating.